The Swedish Method for Clear Skin is Simplicity. Organic Ingredients Proprietarily Treated to be More Effective without Additives. LEROSETT® Spot Treatment and Clearing Mask or LEROSETT® clay proprietarily treated, micronized (finer particles), heat-treated (for more absorption) and naturally ionic (static charge absorption) that is specifically designed to deeply cleanse the skin while purging it of impurities and minimizing future breakouts. 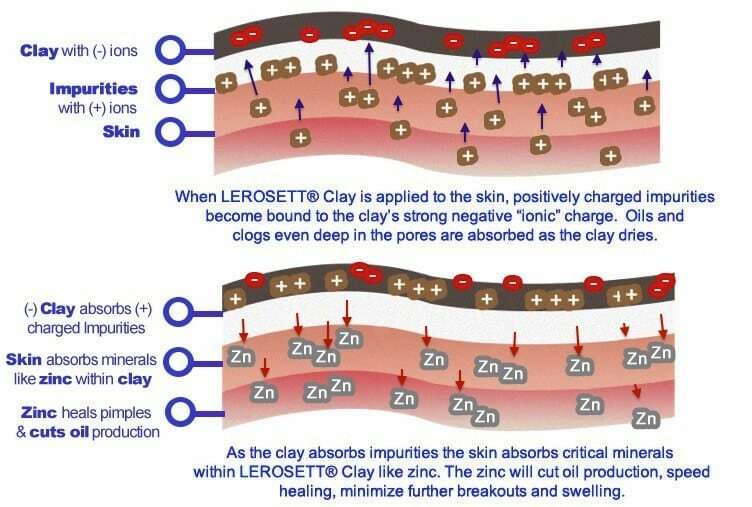 LEROSETT® Clay has a high content of natural minerals like zinc, making it an ideal natural treatment for problem skin. LEROSETT® fights the two leading causes of a pimple at the same time: the clog that backs up oil in the pore and the amount of oil within the pore. Reducing the clogs and oil production, LEROSETT® helps clear pimples, prevents future blemishes and minimizes the redness and swelling associated with pimples while helping to avoid scars. For over thirty years, LEROSETT® has improved the skin conditions for millions of users and has been the choice for thousands of dermatologists and skin care professionals. What's in LEROSETT®, how does it work and why is different? LEROSETT® Clay Treatment has only two ingredients: Our micronized, filtered and heat treated ionic rasul clay and distilled water. 100% Organic with no added chemicals. This image shows how LEROSETT® absorbs impurities and adds critical minerals like zinc topically. LEROSETT® is a thin clay with up to 20 times the absorption ability of common clays. LEROSETT® is meant to be rubbed into the skin, not layered on the skin. A thin, almost translucent layer is all that’s needed. 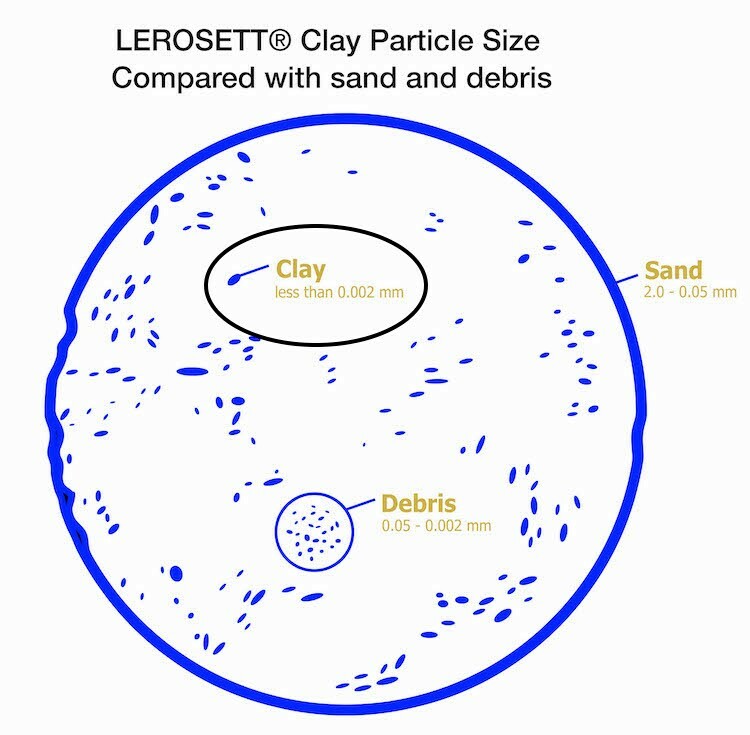 LEROSETT® Clay particles are naturally ionic (natural static charge). When activated by water, LEROSETT® acts as a (- charged) static-magnet to pull (+ charged) pimple-causing impurities (such as oil dead skin cells, and toxins) onto the clay particle and out of your skin. LEROSETT® Clay can absorb more of the impurities in your skin because there are zero impurities in the clay itself. Aloe, botanicals, or other chemicals (if included in our clay) would have coated the clay particles before the clay has a chance to bond and remove the impurities from your skin. This is the reason why you can feel the clay working even when using a thin layer. How is LEROSETT® Different compared to dry clays and other wet clays? A 3oz tube of LEROSETT® Clay contains 30 full facial masks and the proprietary clay used has the highest ionic charge of all clay types. LEROSETT® has among the highest mineral content of all clays. For example, the high concentrations of zinc in our clay can boost proteins that protect against infection and minimize the oil production that caused a pimple in the first place. LEROSETT® has also been shown to help multiple other skin conditions. 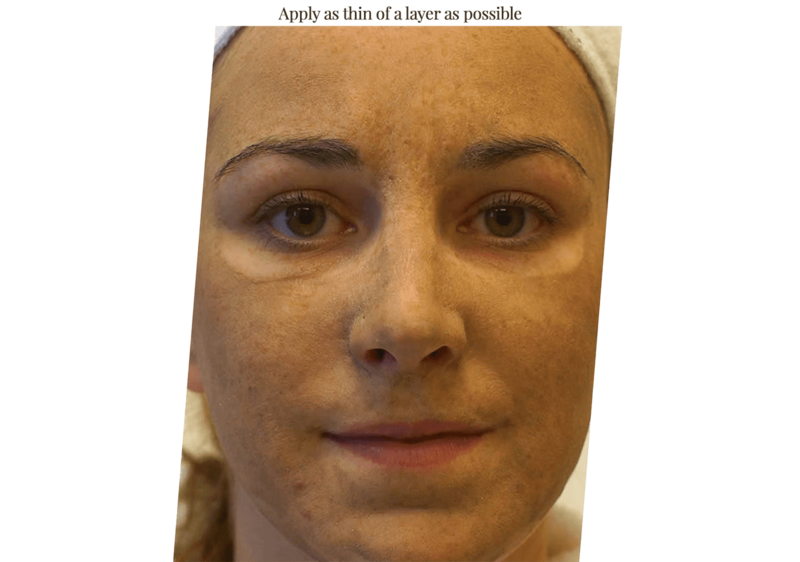 Dry Clays: Plain unfiltered, dry clays contain crushed sand and require up to two pounds of dry clay for approximately 30 facial masks. Add the water, and it takes around 5-6 pounds of dry clay and water to make 30 facial masks that need to be 1/4″ to 1/2″ thick. Dry clay also must be mixed by hand. LEROSETT® is ounce for ounce 20-30 times more potent than untreated, unfiltered, dry clay products. Because LEROSETT® is applied thinly, almost translucent, it dries in 5-10 minutes, and if you have oily skin, you have the convenience of being able to sleep with a full facial mask. Wet Clays: Common wet clay products are crowded by other ingredients like oils, sand, botanicals, debris or other additives and the ionic attraction is weakened by those added ingredients. In this case, the clay particles are already coated by the impurities in the product itself. That is why LEROSETT® clay does not contain our special aloe, other botanicals or added chemicals. LEROSETT® clay particles can absorb more oils and impurities in your skin because there are no added impurities in the clay itself. Because LEROSETT® has such a strong absorption ability, only a very thin 1 millimeter thick, almost translucent layer is needed. Because LEROSETT® is rubbed into the skin, once dry, you should be able to sleep with a full mask. In the morning the mask will be dark brown from all the oil it has absorbed. Why does filtering and particle size matter? Clay particles are very small in comparison to impurities like sand. The finer the clay particles and the less sand in the clay the greater the surface area and the greater the ionic (static charge) absorption rate. LEROSETT® Clay requires only a 0.10 oz per facial mask and a 3.0 oz tube yield 30 full facial masks. Because LEROSETT® Clay is pure (micro-fine) clay particles, with no sand or impurities the clay can get deeper into the skin and the pore. What Do Acne Experts Say About LEROSETT®? We asked skin care professionals that work with problem skin and acne every day how they feel about using LEROSETT® when they have so many other brands to choose from. Mari Borrego skin care professional over 25 years – beauty connection di bella, McAllen, TX. “I own 5 skin care centers and we have been using your products for a long time. I’ve been in skin care over 10 years and the LEROSETT® brand is amazing, thanks! How to apply LEROSETT® Clay "images"
Facial Mask Method: Apply LEROSETT® Clay in a very light, translucent layer. Gently rub the clay into the skin, allowing the mask to dry and work for 10-15 minutes, then remove with tepid water. Repeat as needed. When starting the regimen, use more often to get clear; once clear, you can apply less frequently to stay clear. Many LEROSETT® users with oily skin will sleep with a thin mask on overnight with an almost translucent layer on the problem area. Patch test on a small area overnight first, confirming your skin is not too sensitive. Spot Treatment: Do not rub the clay in for spot treatment. Apply over a pimple; a bit thick is OK, and allow about 15 minutes to dry. To stop a pimple from forming, spot treat as soon as you notice a new pimple. For spot treating, apply several times per day, or overnight. Overnight spot treating can be very effective. If extracting a pimple use a spot treatment to absorb and help close the opening and minimize scarring and repeat as needed. Spot Treating a Cyst or Large Pimple Over Night: A large pimple or certain cysts can be reduced in size significantly if spot treated properly. A large pimple needs a lot of clay on the pimple for at least six+ hours. But this much clay will fall off as you sleep. Using 1″ or 2″ wide medical paper tape will help hold a large amount of clay in place overnight. Clay about 1/2 inch wide and 1/4″ thick on the cyst. Then carefully cover the clay with tape loosely, so the clay doesn’t squeeze out or change shape. You are wanting to make a tape cover that forces the clay to stay in place overnight, without putting pressure on the clay. In the morning the clay should be hard, and the large pimple noticeably smaller. Repeat as often as needed. Minimizes Ingrown Hairs: Spot treat and apply a thin layer on the area to prevent ingrown hairs from forming. Controls Oily Skin: Significantly minimize oil (sebum) production by applying a thin mask. Minimizes the appearance of pore size: Reduce the appearance of pores by applying a thin layer of the clay treatment. Improves skin elasticity, texture and clarity: Deep clean and exfoliate by applying either a thin mask or using the clay as a facial cleanser. (Dime size amount suggested). Razor Burn: Avoid the effects of razor burn anywhere you shave. For men and women (Apply a thin layer on area). Waxing: Can reduce redness, pain, and swelling when applied pre and post waxing. (Apply a thin layer on area). Cleansing & Oily Scalp: Rub a dime-size amount into oily scalp and gently massage then rinse. Can also be used as a facial cleanser. Bug Bites: Spot treat the infected area to help minimize itching, redness, and swelling as well as potential scarring. Rashes: Many types of rashes can benefit from detox and mineral infusion from clay. (Apply a thin layer on area). Multiple Skin Conditions: Can minimize discomfort and itching from skin problems like psoriasis and eczema. Numerous skin conditions can safely benefit from the clay’s detoxing and cooling effects. (Apply a thin layer on area).